The Anunnaki tapped, broadcast and stored electricity and atomic power. They employed advanced computing devices. For building, they moved huge stones with sonar devices. They cut the stones with advanced machines that left drill and saw cuts. They also liquefied stone, molded it, then resolidified it and formed huge blocks. 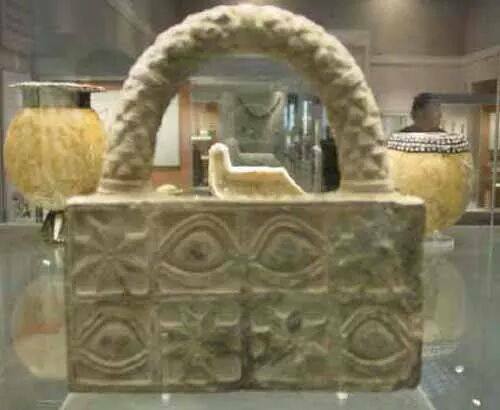 They interlocked stones and in some places, they interlocked stone blocks with metal staples they pored through holes between the stones to keep them interlocked through earthquakes. 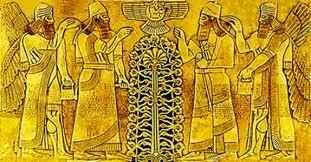 The Anunnaki employed fighters, bombers, and weapons of mass destruction. In 400,000 BCE the master computers and command modules that controlled space and Earth communication sat in Enlil’s place at Nippur in southern Iraq. In 380,000 BCE, Marsbase Commander Anzu stole crystals [computers] and MEs [portable command modules] from Expedition Commander Enlil. Each ME controlled a certain function, and only its possessor could operate it. Anzu had the ME of Enlil’s Command of Earth, the ME called The Brilliance or ME of Enlil-ship [Lordship], until Enlil’s son Ninurta retook them for his dad. “Evidence shows the use of hydrogen in the King’s Chamber in a shaft, 8.4 by 4.8 centimeters.” This channel guided the MASER (Microwave Amplified through Stimulated Emission Radiation) wave through crystal power-amplification devices. References abound for Anunnaki devices (probably atomic) in their structures, rockets, and even in the Ark of the Covenant. Enki, drunk and in sexual heat with Inanna, gave her computer devices (MEs) he later regretted but couldn’t get back. Chief Scientist Enki, drunk and in sexual heat with Inanna, gave her computer devices (MEs) he later regretted but couldn’t get back. These devices included the Exalted Tiara, the Exalted Scepter and Staff, and the Exalted Shrine, all set in jewels and crystals and fixed to her clothes. He gave her an ME for a scepter or shrine that could “emit and control a force field and an ME sewn into her clothes that “could emit a luminous field” that made her “look clothed in radiance” and let her proclaim herself queen.” For centuries afterward, Earthlings with whom she coupled were dead the next morning from a combination of radiation and Inanna’s sexual practices. After the Deluge of 9703 BCE that destroyed Nippur, Ningishzidda installed the master computer controls in the Great Pyramid (the E.Kur) in Egypt. “The Great Pyramid was directed by different gods in turn. During the Second Pyramid War [8670 BCE], the Great Pyramid was the temple abode of Marduk-Ra. After Ninmah-Ninharsag-Hathor brokered a peace agreement that ended the war, she was appointed mistress of the new Ekur and got the title Goddess of the Rocket Ships.” Later, “Isis became Mistress of the Pyramid.” Finally, Ningishzidda, when he reigned in Egypt, took the title “Guardian of the Secrets of the Ekur.” In 3450 BCE, when Enki ordered Ningishzidda to yield to Marduk, Ningishzidda hid the master computer programs and plans to the Pyramid [DNA: 55 to57]. Anunnaki Royals carried ME-crystal computers a few inches large in purses they wore on their wrists. They sewed MEs they controlled into their clothes or worked into their scepters, handheld weapons as well as weapons and devices they ensconced on their aircraft and in their control rooms. Inanna seduced Enki for 90 MEs that Anu ruled she could keep. “MEs give their depositories or the persons who possessed them powers such as the control of interplanetary travels and communications, scientific and technological knowledge, and quasi-magical potency. In Sumer, the proprietor of a specific ME is the only one to have full power over it and to bend its operations according to his or her will: the proprietor is the unique master of the system” [DNA: 58 to75]. Anunnaki megalithic structures (Gobekli Tepe, Stonehenge, Jerusalem, and many others) featured sight-lines and functioned as computers. “MEs give their depositories or the persons who possessed them powers such as the control of interplanetary travels and communications, scientific and technological knowledge, and quasi-magical potency. In Sumer, the proprietor of a specific ME is the only one to have full power over it and to bend its operations according to his or her will: the proprietor is the unique master of the system” [DNA: 58 to75]. Stone calendars: Anunnaki megalithic structures (Gobekli Tepe, Stonehenge, Jerusalem and many others) featured sight-lines and functioned as computers. 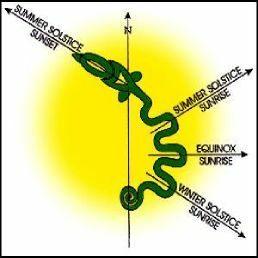 the structures were, themselves, devices to compute the passage of time on earth relative to the movement of the planets, the apparent movement of stars due to the precession of equinoxes, and also of earth’s progression through the zodiacal sequence of constellations. 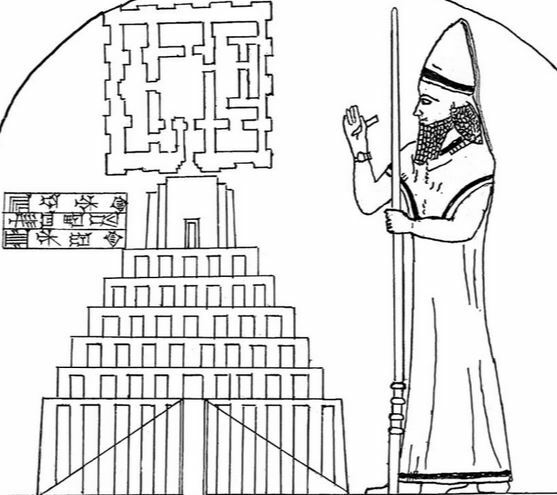 We find stone observatories–computers in essence–laid out with the same plans Ningishzidda used for his observatory at Lagash. this replication of plan adds to the evidence that the Anunnaki did indeed have a global-wide network. They fought with jets, bombers, weapons of mass destruction, insect infestation, climate-changing HAARP-type weapons, and biological weapons–all of which, computer driven. They leaked what they knew of their planet and other astronomical objects and solar flares that entered Earth’s space to advance their armies at each others’ expense. Likewise, they shared their scientific foreknowledge of volcanoes about to blow, earthquakes and concomitant floods as military intelligence to Earthling kings and armies they favored. They used computer info on coming eclipses to cover their activities. 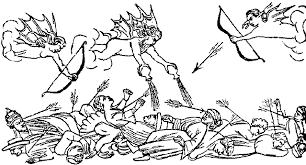 Enlil-Yahweh, Inanna-Aphrodite, Nannar-Allah, Marduk-Ra-Zeus killed oodles of Earthlings. When Marduk left Babylon for South Africa, his brother Nergal broke into Marduk’s control room and ruined the computers, energy controls and power-source for Sumer’s irrigation, transport and flood control. Anu lifted the ban from Nibiru he’d imposed on Marduk so Marduk could hear who would next be King of Nibiru. “Enlil and Enki returned to Nibiru to lobby for their interests. Anunnaki in the American Midwest, southeast and southwest, Africa, Japan, coastal China, Korea, Nepal and Tibet passed on farming and animal husbandry technology to their Earthling followers before they left Earth. When Enlil and Ningal, Ninurta, Adad, Inanna, Nergal, Ereshkigal, Asan and Nanshe got to Nibiru, to win their support against Marduk, Anu gave them jobs. He made Enlil Treasury boss (Nunerimtar). With the quantum computer, Enki may be able to alter our perceptions of our past, present and future. Stay tuned. “Inanna, King Naram-Sin and the Akkadian armies captured Baalbek, then they went for the Sinai Spaceport and Mission Control in Jerusalem. They marched across the Fourth Region (the region taboo to Earthlings) and conquered Jericho, which switched alliance from Nannar to Inanna. 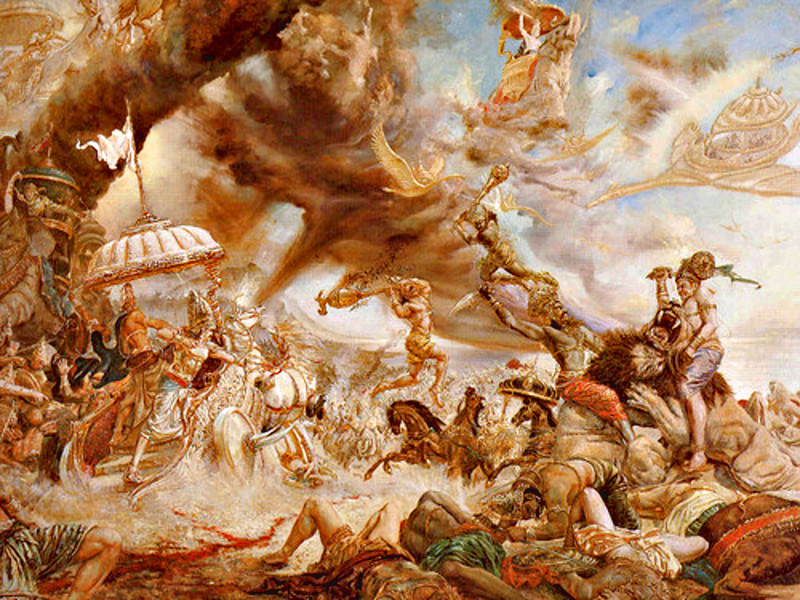 Then her armies joined Nergal’s Kuthians, and conquered Egypt. She recaptured Uruk, destroyed Anu’s temple there and sent Naram-Sin to attack Enlil’s minions at Nippur. “Humans had little choice but to follow the instructions from their brutal Anunnaki gods who showed no regard for human life. 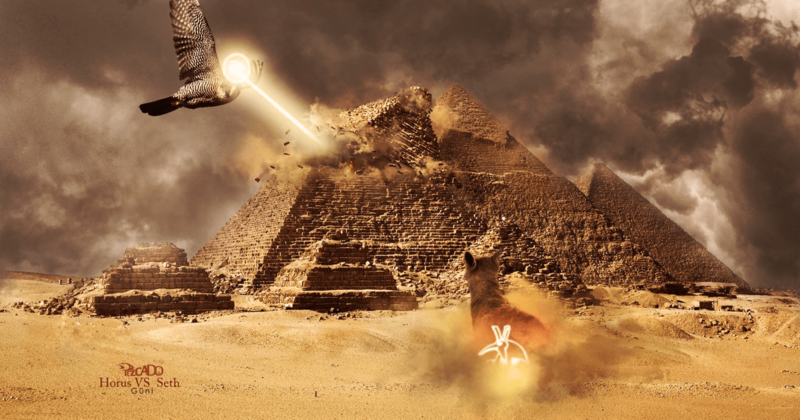 Clashes between the gods almost always involved humans, who never knew the reasons for warring against their neighbors. The aggression of one group of earthlings against another initiated by their god set the behavioral pattern for all future human conflict. Humankind perceived this kind of activity as ‘the normal thing to do’ to invade and conquer your neighbor’s land. “An Anunnaki god would command his people to invade and attack, giving his human armies the excuse that they were vile and evil and they were sinful against god. But this god would differ from land to land, demanding total obedience from humans, or they would be punished. This led to the worship of many different gods by people of the biblical lands as they worshiped the specific gods who led them into battle or out of harm’s way. This worshiping would lead to retribution from some other Anunnaki god with a higher rank, demanding that people worship only him. Over the five cities Nergal upon each from the skies a terror weapon sent, the five cities he finished off, all that lived there to vapor was turned. Mountains toppled, where the sea waters were barred the bolt broke open, down into the valley the sea’s waters poured, by the waters was the valley flooded.” [Enki, 311, 315, 316].